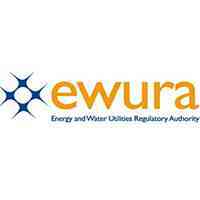 The Energy and Water Utilities Regulatory Authority (EWURA) is an independent, world-class regulatory authority responsible for licensing, tariff setting and quality of service regulation of the electricity, water, and petroleum and natural gas sectors. NARUC is the national association representing the State Public Service Commissioners who regulate essential utility services in the United States. NARUC members are responsible for assuring reliable utility service at fair, just, and reasonable rates. Founded in 1889, the Association is an invaluable resource for its members and the regulatory community, providing a venue to set and influence public policy, share best practices, and foster innovative solutions to improve regulation. EWURA in Collaboration with NARUC has internship opportunities for which suitably qualified Tanzanian women graduates are invited to apply. The program is sponsored by the USAID Energy Division/Office of Energy and Infrastructure/Bureau for Economic Growth, Education and Environment (E3). To provide support in coordination, collation, analysis and storage of information related to natural gas transmission for regulatory reporting purpose in periodic basis. To provide support in carrying out technical analyses of natural gas components and report any potential problems that require attention. To assist in reviewing reports submitted by explorers, transporters and sellers. To undertake any other duties as assigned by the supervisor. Bachelor’s degree Engineering (Petroleum, Gas, Mechanical, Chemical and Processing) and Geo – Science (Geology and Geo-Physics). Interns shall be responsible for their travel (where applicable) to and from the Authority’s location as well as their upkeep. Interns shall be responsible for their medical insurance coverage. Internship will be for the period of 3 – 6 months. Recently graduated Female Students, aged between eighteen (18) to thirty (30) years, or currently enrolled in a master’s level degree program or its equivalent in a recognized higher learning institution. Submission of a letter from their school confirming their enrollment or a copy of the above-mentioned Degree. Applicants must be fluent both in English and Kiswahili. To provide support in ensuring the optimal provision of economic, technical, safety and environmental inputs to regulating and controlling the generation of electricity. To provide support in monitoring activities of power generation and electricity marketing, including Independent Power Producers (IPPs), Emergency Power Projects, Small Power Projects, Market Operators and cross-border trading. To provide support in monitoring electricity trading arrangements between the utilities and suppliers (including IPPs) and cross border according to the best industry practices. To participate in dispute resolutions of various customers’ complaints. To provide support in pre licensing inspection of electrical facilities undertaken by the Directorate. The ideal intern for this position should have the following qualifications, i) Bachelor Degree in Electrical Engineering or related field. Signed application letter with Curriculum Vitae (CV) including e-mail address or day time contact telephone number, together with degree certificates, transcripts, academic progress report, copy of birth Certificate, one passport size photo and names and contacts of three referees should be addressed to reach the under-mentioned by 22nd March 2019. Only shortlisted applicants meeting the above criteria will be invited for the interview. Lobbying and canvassing for opportunity will not be entertained and may work to the applicant’s disadvantage. Apply before 22nd March 2019. 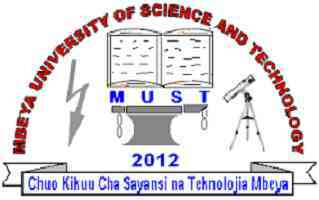 Welcome to Mbeya University of Science and Technology (MUST). As a higher learning institution, Mbeya University of Science and Technology endeavors to be a leading University of Science and Technology and ensuring that it becomes a centre of excellence for academics, research and consultancy. MUST further strives to be a centre where modern and indigenous technologies meet for improving livelihood in our society. For those wishing to develop their skills and have a career in science, technology and business related fields, Mbeya University of Science and Technology is the right choice. Prospective students from different levels are welcome to join Ordinary Diploma and Bachelor Degree Studies. MUST is also committed to see that academic work adds value to our society through the MUST Consultancy Bureau (MCB). The Bureau has the obligation of solving professional challenges, particularly by offering consultancy in the respective fields. Reporting to the Executive Council (EXCO) of EREA, the Executive Secretary (ES)/Chief Executive Officer of EREA will be responsible for overall management of the association. The ES/CEO will prepare, implement and monitor the EREA’s Strategic Plan, Business Plan and Annual Action Plans. S/he will spearhead development and utilization annual budgets for the association, mobilize resources through preparation of funding proposals to development partners among others for implementation of various programmes and projects as detailed in the strategic plan. Additionally, the ES/CEO will spearhead planning, coordination of EREA’s meetings, seminars, conferences and exchange visits, financial reports, recording and tracking revenue, approving expenditures, purchases, and contracts, and ensuring compliance with the constitution and all the required procedures, both internal and external to EREA, S/he will initiate and sustain collaboration and cooperation with other regional and international institutions for the benefit of EREA, and any other duty as will be assigned by EXCO from time-time. of the Executive Council of EREA. (d) Office Tenure: The office tenure of the Executive Secretary shall be for a period of four (4) years, renewable subject to satisfactory performance acceptable by EXCO Members. (a) Preside over the association’s day to day operations at the Secretariat. (b) Create and maintain a conducive working environment that motivates employees for optimal performance in discharging activities of the Association. (c) Oversee effective and efficient implementation of provisions of the EREA Constitution and its rules of procedures. (d) Provide direction and leadership in the achievement of the EREA’s vision, mission, core values, business strategy, annual goals and objectives of the association. 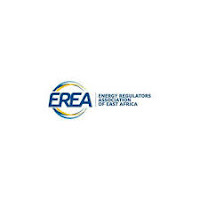 (e) Advice on policy matters to the EXCO, of EREA on issues related to harmonizing energy regulatory frameworks of national regulatory institutions (NRIs). (g) Ensure prudent management of the Association’s resources within approved budget limits, guidelines, Financial Policies and Procedures Manual under applicable laws and regulation of the host country. (h) Lead in building a strategic collaboration and relations with external Development Partners including governmental/non-governmental organisms at global/regional/national levels and representing EREA in top-level regional level, international fora and other relevant meetings. (i) Ensure that the Association consistently, command a strong and positive image to its stakeholders and the general public, and ensures good visibility of EREA in these fora. To offer leadership in the furthering of EREA’s positive image, and to ensure a strong brand of EREA in member countries. (k) Prepare and/ or review/update the EREA’s Strategic Plan (SP), annual work plans and the associated budget estimates for approval of EXCO and AGA. (l) Lead the implementation of the EREA’s SP, annual work plans and the associated budgets exercise proper controls and deliver value to the association. (m) Prepare and present periodic performance reports (quarterly, annually) on the activities of the association and annual work plan for review by EXCO. (n) Implement the EREA’s SP, annual work plans. (o) Supervise the activities of other staffs if needed (It was scheduled to recruit a new staff to alleviate the ES duties). (p) Undertake any other duties incidental thereto and as assigned by the EXCO. (a) The Job requires a University Degree from a recognized University in any of the following fields: Management, Law, Economics, Finance or Engineering, Business Administration or equivalent qualification. (c) At least Ten (10) years’ demonstrable experience and knowledge of the energy sector in East Africa out of which Five (5) should be at Managerial level, or any other related professional experience working with a national, regional or international organization. Experience in energy regulation is an added advantage. (d) Excellent knowledge of policies and issues relating to the energy sector, institutional capacity, cross-border energy trade and conventions or agreements at national, regional, continental and international level. (e) Must be a national of EREA member states and being at most 50 years old (The task of ES is very demanding and requires experience but also a certain dynamism). (c) Highly motivated and innovative. (i) Demonstrate a high sense of maturity. (j) Proficiency in computer use. Application is restricted to nationals of EREA member states only. Interested candidates should submit their application letters, CVs, Certified photocopies of certificates, names and contact information of two references. 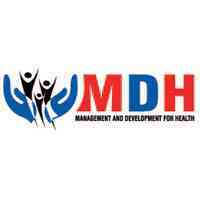 Applications should be submitted by 26th February, 2019 to the HR Manager, MDH through e-mail hr@mdh-tz.org or drop by hand at our MDH Mikocheni Office near New Regency Park Hotel. Those working in the Financial and Insurance services sector, teacher, self Employed people, Woman/Single mothers who want to be financially independent, retired professionals seeking new challenges are encouraged to apply. 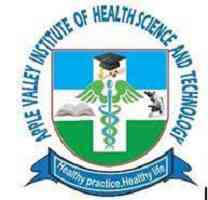 APPLE VALLEY COLLEGE OF HEALTH SCIENCES IS LOOKING FOR PHARMACEUTICAL TECHNICIANS TO TEACH COURSES IN THE CADRE. 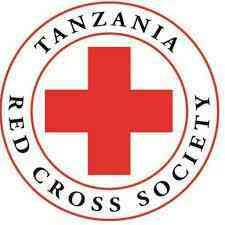 SHOULD BE REGISTERED BY THE COUNCIL OF TANZANIA. KNOWLEDGEABLE, EXPERIENCE WILL BE AN ADDED ADVANTAGE. GOOD IN REPORT WRITING AND CONVERSANT IN SPOKEN AND WRITTEN ENGLISH.  Coordinating and monitoring supply chain operations within the Project.  Utilize logistics IT to optimize procedures.  Prepare accurate reports for upper management.  Bachelor degree in Commerce (B.com) or equivalent in Accounting or Finance is required.  Minimum of four years of progressive financial management experience is required.  Professional qualification in accountancy such as ACCA or CPA will be added advantage.  Minimum three years of experience from an international NGO is required; International NGO field experience is preferred.  Demonstrated experience and skills with budget preparation and analysis, financial reporting preparation and presentation and proven ability to translate technical financial data to informative reports.  Strong accounting skills and experience, including management of general ledger, journals entries, payroll, payables etc.  Experience in working with several accounting packages.  Excellent oral and written English skills. Applications may be submitted via Post Office or by hand delivery, but not by email. The deadline for submission is 28th February, 2019 by 16.00 Hrs. Only short listed candidates meeting the minimum set criteria will be invited for interview. If you do not hear from us within two weeks after the application deadline you should consider yourapplication as unsuccessful. 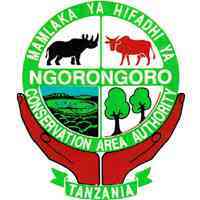 The Ngorongoro Conservation Area (NCA) was established under National Parks Ordinance CAP.412 of 1959. This unique area is currently managed by the Ngorongoro Conservation Area Authority (NCAA) pursuant to CAP 284 of 2002. It is under the Ministry for Natural Resources and Tourism. The main functions of the NCAA are to conserve and develop the natural and cultural heritage resources, to promote tourism in the NCA and promote the interests of indigenous people living in the area. Holder of Certificate in Wildlife Management, Range Management, Wildlife Ecology, Zoology, Forestry or similar related field from a recognized institution. Ngorongoro Conservation Area Authority(NCAA) has withdrawn the job advert posted on its website. To assist in implementation of strategies for managing endangered flora and fauna species. To participate in carrying out animal census. To assist in identification and management of various habitats in NCA. To participate in collecting samples of, and store plant specimens. To participate in preparation of tree nurseries for both indigenous and exotic plant species. To perform any other duties as assigned from time to time by Supervisor. To collect/pick government trophies or antiques or forest products left unattended to secure in official custody. To participate in routine patrols and animal census. To protect and guard the lives and properties of the residents/employees against destruction by wild animals. To participate in cleanliness and guarding of tourist camps, entry gates and any other appointed places. Holder of Diploma in Wildlife Management, Range Management, Wildlife Ecology, Zoology, Forestry or any other equivalent field from recognized institution. To participate in animal census. Notice! !Ngorongoro Conservation Area Authority(NCAA) has withdrawn the job advert posted on its website. Holder of Bachelor degree in Computer Science, Computer Engineering, Information Communication Technology, Information Systems or its equivalent qualifications from a recognized institution. To design computer system charts and to provide the necessary systems documentation. To assist users in systems analysis and design. To schedule upgrades and security backups of hardware and software systems/programs. To prepare systems flow charts of information movements. To maintain and control existing systems and keep up to date systems/ documentation standards. To undertake low level routine maintenance of ICT equipment. Holder of Bachelor Degree in Mass Communication, Journalism, Public Relations or equivalent qualifications from recognized Institutions with working experience of at least four (4) years in related field. To prepare speeches for executives, organizing press conferences and planning requisite for finding appropriate platforms for Authority’s functions. To prepare scripts for the Authority’s advertisements. To ensure that all major events and ceremonies of the Authority are correctly covered and advertised. To perform any other duties as may be assigned from time to time by his/ her supervisor. Holder of Bachelor degree in Accounting, Accountancy, Finance, Commerce/Business Administration majoring in Accountancy or Finance or equivalent qualifications from recognized institutions plus CPA (T), ACCA, ACA, CIA or equivalent professional qualifications recognized by NBAA. Must have knowledge in ICT/Computer applications including MS-Office and Accounting Packages. To assist in recording and reporting livestock/wildlife field cases to relevant authorities. To review internal controls and submit recommendations to supervisors. To ensure that internal control systems are adequate to avert perpetration of frauds, misappropriation and embezzlements. To prepare audit reports based on the audit findings. To review the effectiveness of managerial controls and implementation of systems, policies and practices. To prepare internal audit programmes in accordance with generally accepted audit standards..
To organize and supervise staff carrying out audit on expenditure and revenue transactions. To perform any other duty as may be assigned by the supervisor. In accordance to NCAA’s salary scales. 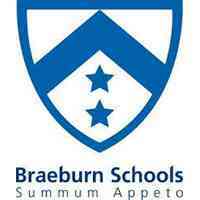 Braeburn Dar es Salaam International School is a member of the highly respected Braeburn Group of International Schools. Opened in September 2015, the school is a co-educational day school offering the National Curriculum of England and Cambridge IGCSE’s to students between the ages of 2 to 16 years. All candidates must have a relevant teaching degree and experience working in an international school. Clearly stating the position you are applying for in the subject. All Braeburn schools are committed to safeguarding and promoting the welfare of children and applicants must be willing to undergo child protection screening appropriate for the post, including – checks with past employers and the Disclosure & Barring Service. Please ensure that you mention ajiraleo.com as the source of this job advertisement. All Applications Closing Date: 28th February, 2019. Company Profile: Unilever Tea Tanzania Limited is a plantation company operating under Unilever Tea, East Africa (UTEA). UTTL employs over 5,500 employees whose safety and security are very important to the business. 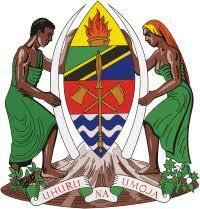 We are currently looking to hire one Teacher for our Tanzania business. This role will be office based and requires candidates with knowledge for the job. If you are looking for a career in Unilever, then you are the person we are looking for. The teacher will be professionally responsible for the day to day management and teaching of the classes assigned to them, and to teach according to the educational needs and abilities of the individual students entrusted to his/her care. High Quality Teaching – Our goal is to create a high-quality, high-energy, positive, and engaging learning environment in which all students are encouraged to reach and demonstrate high levels of both academic achievement and emotional maturity. We must teach not only the academic curriculum but also thinking skills, self- discipline and self-management, responsibility, respect, and compassion. Creativity, sound classroom management, and positive inter-personal relationships are essential to high quality teaching. Students are expected to see tangible, visible growth and improvement. Preparedness – Planning schemes of work, lesson plans, and assessments ahead of time. Any materials required should be gathered before the lesson. Keep a record of your lessons for the week ahead. You must maintain an orderly work and learning space in both the classroom and the staffroom. Punctuality – It is critical that teachers are in their designated class on time and remain in the classroom with students for the duration of the lesson. It is equally important that the lesson ends promptly and does not run over time. Inform the School Manager in case of an illness or emergency which may prevent you from coming to work. Discipline – Establishing and maintaining clear and consistent expectations for behaviour is necessary for a positive learning environment. Violent, humiliating, or psychologically destructive methods of discipline are unacceptable and will not be tolerated by any staff member, whether physical or verbal. Bullying in any form is not tolerated and must be addressed on the spot. Ensuring student progress – Achievable by addressing the target concepts, skills, and knowledge that are required in the curriculum. Using relevant materials and differentiating for individual students as necessary. Class Activities – Classroom teaching should include the regular use of activities relevant to the curriculum/syllabus. This includes, but is not limited to: field trips, music, games, outdoor activities, films, etc. These activities should be planned and incorporated into lessons as teaching tools to further students’ understanding of the class material. Relationships – all teachers are expected to be collaborative and cooperative. All staff members must strive to create a positive, mature, friendly, open, and tension- free atmosphere. Confidentiality – all matters pertaining to the school are to be kept confidential and must not be discussed with anyone outside the school. Professionalism – Teachers are expected to conduct themselves in a professional manner always, whether in or out of school. Taking part in and performing duties about the organization, planning, supervision, and/or discipline of school related functions as may be assigned from time to time including supervision of break times and meals, as well as Teacher on Duty responsibilities on a rotational basis. Full participation in weekly staff meetings and any other meeting which may be called by the School Manager. Emergency substitution for sick colleagues. The Site Safety Operations supports the Site SHE Manager or Coordinator in managing Safety & Health improvement activities to achieve excellence at the site level. S/he works with site SHE teams to identify and implement improvement plans to achieve sustainable SHE excellence by reducing injuries and illnesses as measured in the core KPIs. Monitor site legal compliance and ensure the site meets all local/national regulatory requirements and Unilever standards. Be creative and positive – make learning fun! All applications should be sent to the address or email below on or before 26th February 2019. Eligible candidates are required to submit detailed CV with names of three referees and an application letter. Only shortlisted candidates will be contacted for phone interviews. Candidates invited for an in-person interview will be asked to prepare and teach a sample lesson to a group of students in front of the interview committee. TIB Corporate Bank Limited (TIB - CBL) is a fully fledged commercial bank owned by the Government of the United Republic of Tanzania. As a commercial bank, TIB CBL is receiving and accepting deposits, making collections, investing, lending money and conducting any other related commercial banking services. The Bank Ltd aims to provide its customers with a wide array of financial solutions catering to diverse banking needs. The bank offers customized products embodied with state of the Art Premier banking lounge for exclusivity. The strategic growth for the bank will be supported by its expansion plan through opening of new branches and agencies in strategic areas. Currently the Bank has a branch network in main cities of Tanzania 3 in Dar-Es-Salaam namely Samora , Mlimani City and TPA mini branch and 3 branches upcountry namely; Arusha, Mwanza, and Mbeya. The branches are strategically located to serve the Coast, Northern, Lake and Southern zones. TIB Corporate as fast growing institutions offers career opportunities for all. Strategically in the long run we are looking forward t to have foot print in most regions to ensure all Tanzania’s have access to best financial services. To provide technical support in implementation, monitoring and evaluation of Girls Empowerment project activities. The position is based in Karatu District within Endabash and Lake Eyasi APs. The Project Officer will work and report to the AP Manager and take overall responsibility for implementation of the daily activities of the project. The PO will be technically working with Cluster Health and Nutrition specialist and Gender/Advocacy departments. Implement project activities to ensure results are evidence based, culturally appropriate, cost-effective, and have high impact while also ensuring compliance of standards and donor regulations. Liaise with potential partners in operationalizing the project and facilitate community engagement in the implementation and monitoring of project activities. Ensure development of behavior change messages around Reproductive Health, VBLS, Economic Empowerment and sports for adolescents. Conduct the regular monitoring of Girls empowerment project activities by documenting all project results with photos and short video clips for sharing progress and success stories with donors. Ensure that the Girls Empowerment project interventions are well integrated to other AP interventions like education, livelihoods and sponsorship to bring greater impacts on child wellbeing. Prepare regular and periodic project reports (monthly, quarterly, semiannually and Annual reports) with evidence/results based information. Minimum Qualification required: Bachelor degree required in either, Public Health, Social Welfare, Community Development, Gender, Medicine, and Nursing, Midwifery or similar fields. Experience: At least 2 years’ experience managing youth/adolescents programs addressing Sexual Reproductive Health & Rights including Menstrual Hygiene Management and Economic Empowerment or related field, knowledge in VBLS and sports/fitness for youth/adolescents is an added advantage. Travel: 5% Domestic/international travel is required. 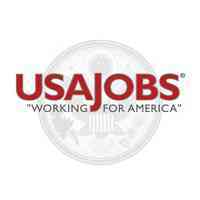 This position holds the responsibility of the entire finance, accounting and treasury functions in the organization. The incumbent is responsible for ensuring proper and effective financial planning, management, and reporting of the organization. This includes preparation of financial projections and the annual budget; implementation of budgeting controls; ensuring that quality and timely financial statements and reports are generated and distributed according to internal, statutory, regulatory, tax, partnership, and contractual requirements; properly organizing the accounting, finance, and treasury departments and any other functions assigned for effective, efficient, and accurate operations. registry of transactions, as well as good integration with the loan tracking system, in order to ensure data reliability and availability for decision making. He/she coordinates external audits, inspections, and/or due diligences, ensuring that these are effective and any findings are duly cleared in a timely manner. Lead the MFI, building an organization that honors Christian values by positively impacting the lives of many families and children through the delivery of appropriate financial services and training with a particular focus on the rural areas of Tanzania. Create a self-sustaining business with strong foundations (people, process, systems) that is capable of growing while managing risks. Manage an effective and efficient operation, delivering to challenging financial and social performance targets. Work closely with WV to develop integrated livelihoods programs, and thereby obtain funding from the partnership and donors to grow the operation. Finally, to deal with all regulatory issues and lead the organization through the process of conversion into regulated deposit-taking institution in the near future. 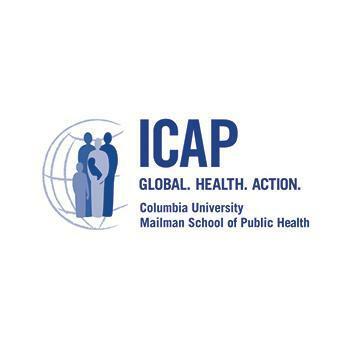 Since October 2016, ICAP has been receiving PEPFAR funding from the Centers for Disease Control and Prevention (CDC) for a 5-year project delivering HIV interventions as the community implementing partner. Known in country as the FIKIA Project and currently in Year 3 of 5 for implementation, the project provides community-based HIV prevention interventions including HIV testing to key and vulnerable populations (KVP). The goal of FIKIA is to accelerate, expand, and improve the quality of comprehensive community- based HIV prevention services to KVP in order to achieve epidemic control. FIKIA implementation spans a total of 46 districts across nine regions (including Kagera, Kigoma, Mwanza, Geita, Simiyu, Mara, Pwani, Tanga, and Dar es Salaam), aiming to deliver essential HIV interventions to nearly 1 million people each year. Drive long distance with ICAP staff when required and adhere with the SOPs, rules, and regulations. Ensure that the truck is always clean and in good order and all the documentation e.g. 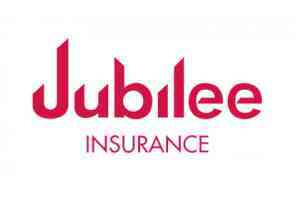 insurance and road license is up to date. Perform routine truck inspection and maintenance including checking oil, fuel, brakes, lights, windshield wipers, waters, and tire pressures. Keep track of maintenance record of the truck to ensure that the service schedule is adhered to and to remind the employer in advance when truck’s service is due. Maintain records of work performed and fill all necessary forms, make timely reports of accidents, incidents, and unusual occurrences. Abide by all ICAP rules and regulations. Form Four (IV) graduate or higher education is desirable. PSV Certificate from the National Institute of Transport (NIT) is an added advantage. At least four (4) years’ experience of successful long-distance truck driving both in towns and upcountry regions. Basic knowledge of automobiles and the ability to make minor repairs and perform preventive maintenance. Have valid driving license, registration, and valid permits at all times. Qualified applicants should send their cover letter and CV by 1st March 2019 via email to icap-jobs-tanzania@columbia.edu, mentioning in the subject line the Position Title and Job Location. Only shortlisted applicants will be contacted. Please do NOT attach any certificates when submitting online. ICAP is an equal opportunity employer; women are encouraged to apply. The Boat Skipper will be responsible for the safe operation of the vessel and must ensure that it is operated and crewed according to both ICAP and other country marine guidelines. He will also be in charge aboard the Boat and have command of a Boat and over the whole crew. Shall be in charge of the vessel whilst on charter and assume the responsibility for the safety and wellbeing of the clients and crew. Shall ensure no compromise on the safety of the Boat and passengers on board and report all accidents/incidents as per regulations and maritime laws requirements. Ensure that at all times the vessel is in a safe and seaworthy condition and ready for charter or notify the Supervisor if the Boat is not seaworthy. Maintain any regulatory obligations that are required for the position. Maintain all documentation relevant to the Boat as per regulations and maritime laws. Responsible for the maintenance and appearance of the vessel, this includes responsibility for cleanliness and pumping out of the Boats. Responsible for the conduct of other ICAP staff during the trip and is obliged to report irregularities to management. Ensure that he observes the laws and regulations in force on Lake Victoria maritime and Tanzania as a whole and ensure the Boat operate per the law. Ensure the vessels is safely secured to the wharf, jetty or mooring and ensure it is left in a secure state with all windows, doors, vents closed and follow regulations and maritime procedures for engine room shutdown including ensuring domestic systems such as water pumps and gas bottles are turned off. Maintain Boat’s and equipment on board, such as engines, winches, navigational systems, fire extinguishers, and life preservers. Take a lead role in promoting safe practices and implementation of Health & Safety policies, particularly when the vessel is underway. Liaise with the respective Harbour Master and any other responsible personnel with regard to weather and water conditions to ensure the safety and enjoyment of passengers at all times. Responsible to ensure all routine maintenances are done. Candidates should hold a License for operating a passenger's vessel. Should possess relevant firefighting and First Aid qualifications. At least four (4) years’ experience of the successful operation of similar vessel. Conversant with and commitment to Health and Safety practices. Candidates should have good interpersonal skills and the ability to communicate effectively both in English and Kiswahili. The ability to determine priorities and work to agreed objectives. The Economic and Social Research Foundation (ESRF) is an independent policy research institution based in Dar es Salaam, Tanzania. ESRF was established in 1994 to respond to the growing need for a research think tank with a mandate to conduct research for policy analysis and capacity building. The Foundation’s primary objectives are therefore to undertake policy-enhancing research, to strengthen capabilities in policy analysis and decision making, as well as articulate and improve the understanding of policy options in government, the public sector, the donor community, and the growing private sector, and civil society. The key themes or core research areas at ESRF are compliant to the Tanzania Development Vision 2025, the Five Year Development Plan and East African Community Development Strategies. The themes covered by ESRF are: Inclusive Growth, Employment and Industrialization; Governance and Account­ability; Globalisation and Regional Integration; Social Service Delivery and Social Protection; Natural Resources and Environmental Management; and Knowledge Management and Innovation. The Foundation promotes public understanding of economic and social conditions as well as public policy issues. It carries out policy research, capacity development and promotes dialogue on policy issues by engaging both public and private sector stakeholders through online and offline discussions. Coordinate and monitor communications between ESRF and the general public including social media. Develop and maintain relationships with the local media, including newspaper and electronic outlets. Assist in organizing, planning and publicizing the Foundation events or activities. Provide creative support for internal and external communication efforts including print publications, websites, social media, electronic communication, community engagement, media and video productions. Prepare information packets as necessary for our stakeholders. Perform other related duties, as assigned, for the purpose of ensuring an efficient and effective communication program. Given the increased demand for Enumerators to our various research survey works, ESRF plans to improve its database of enumerators who will be used on ESRF surveys works on Consultancy basis. Enumerators should be experienced, competent and self-motivated. Holders of Bachelor degree in any discipline. Experience in data collection by using CAPI will be an added advantage. Remuneration: Attractive remuneration package as per ESRF Scheme. ESRF is an equal opportunity employer. Holder of PhD degree in Agricultural Economics or Agribusiness, with a minimum of 2 years experience of research in policy studies. Strong analytical skills and sound judgment. Demonstrates ability in coordination and administering research/consultancies. Undertake research on a given field as may be assigned by relevant authority. Carries out research studies on various issues/topics both in public and private sector. Participates in a team to undertake policy analysis for ESRF’s clientele and establishes good working relationships with clients. Participates in synthesizing and translating research work into practical uses. Assesses policy issues and understands how they relate to other areas of economic policy. Develop a habit of reading widely in order to acquire new knowledge, skills and information. Prepares policy and strategy papers. Carries out other duties as may be assigned by his or her seniors from time to time. A holder of Bachelor’s degree in communications or related field preferred. Experience in communications, social media, information management or related field Strong organization, communication, and interpersonal skills. Demonstrated skills in writing and editing. Ability to work with diverse stakeholder groups Thorough knowledge of media operations. Extensive knowledge of social media and emerging communication platforms. Experience with gathering and editing video. Ability to adapt to emerging technologies. Possess problem-solving skills and reasoning ability. Ability to build and maintain relationships with colleagues that supports a cooperative work environment.